Sitting alongside our diverse “house collection” we are also able to offer a full bespoke design service for individuals who are looking for something a little different. 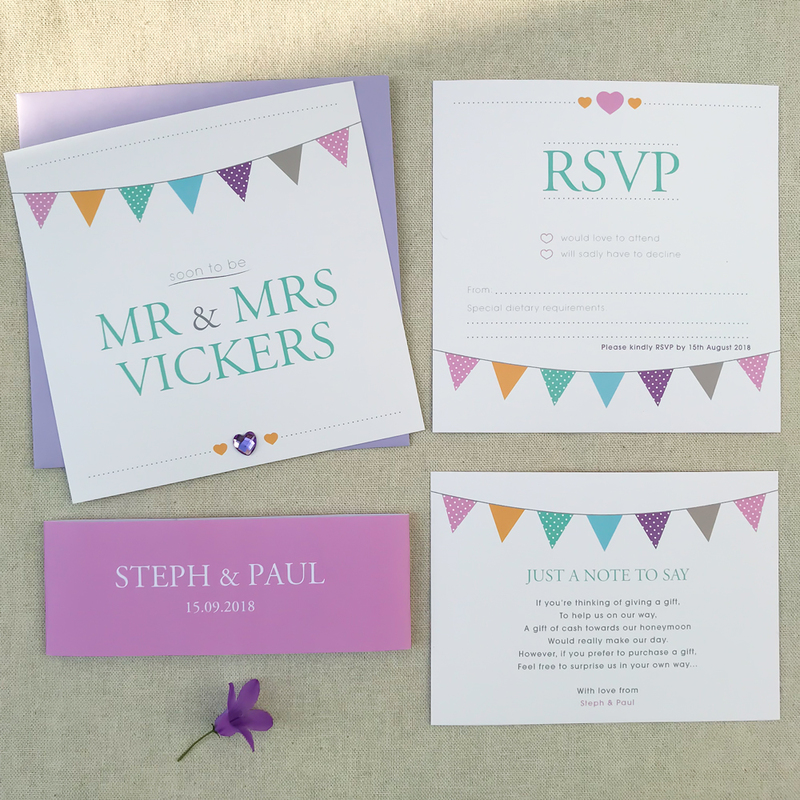 Whether it’s wedding stationery, christening invitations, or business stationery we work tirelessly to achieve your vision. Over the years I have built a strong network of carefully selected print and production partners so that now I only work with the best, ensuring quality and full customer satisfaction. Bespoke design is the favourite part of my business, I love nothing more than collaborating with a client and working together to produce something truly original. Can’t see what you are looking for, don’t worry, get in touch and I’ll work with you to design, source and produce what you desire, that’s what I’m here for . 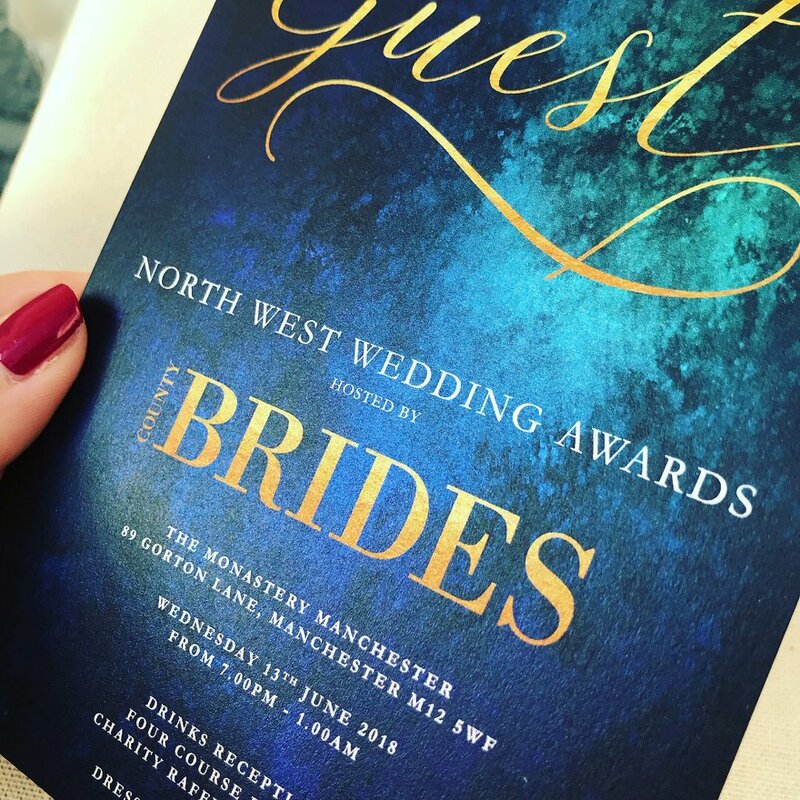 . .
Everyone loves a bit of foil blocking and is ever so popular at the moment with copper and rose gold foil being the main contender at many a wedding or celebration. 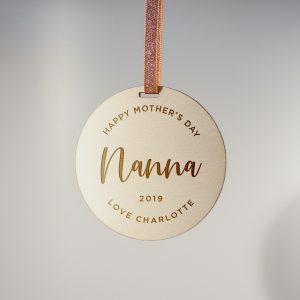 There are a huge range of foils available from traditional golds and silvers to celestial coloured metallics and matt foils which can look amazing when used creatively for a more contemporary look. Gilt or edge painting is a process when colour is applied to the edges of cards, invitations and books. This finish can be produced in any color, including metallics and foils. 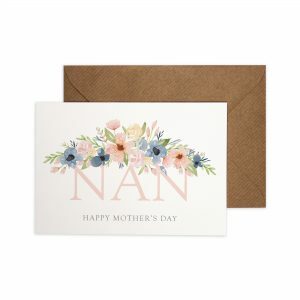 The simple addition of a gilded edge brings card to life and guarantees they will stand out from the crowd. 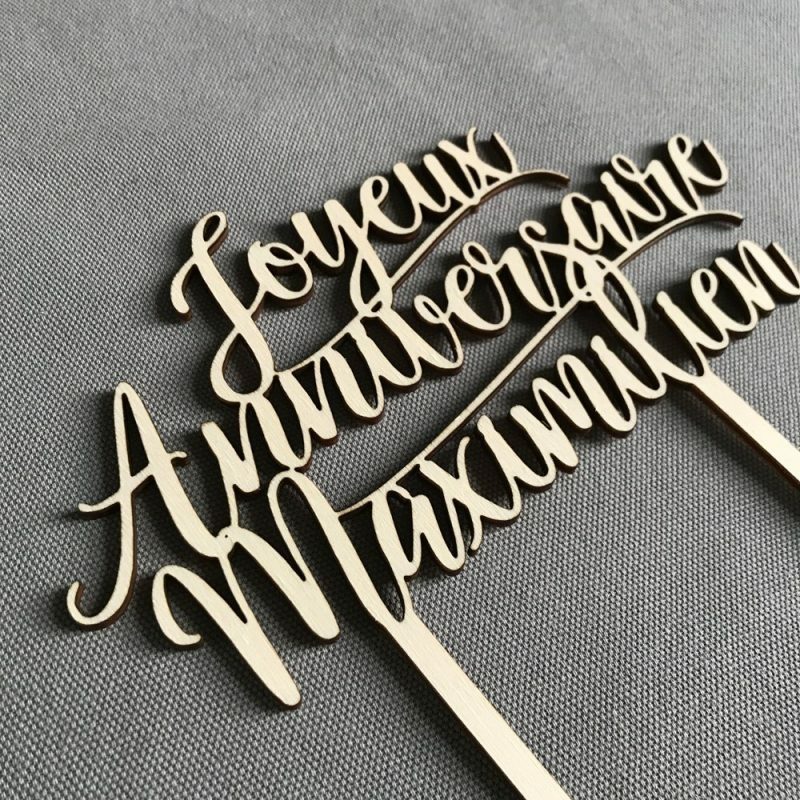 Laser cut paper and card is very popular at the moment, particularly within the wedding industry and can look beautiful when combined with intricate, delicate designs. We can print both white and full colour detail to acrylic. There are many types of acrylic available from clear, frosted colours and metallic to mirrored options. 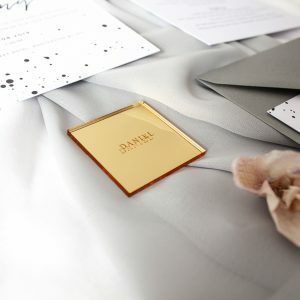 From small invitations to large scale panels, an ideal alternative for table plans or welcome signs for a luxury option. 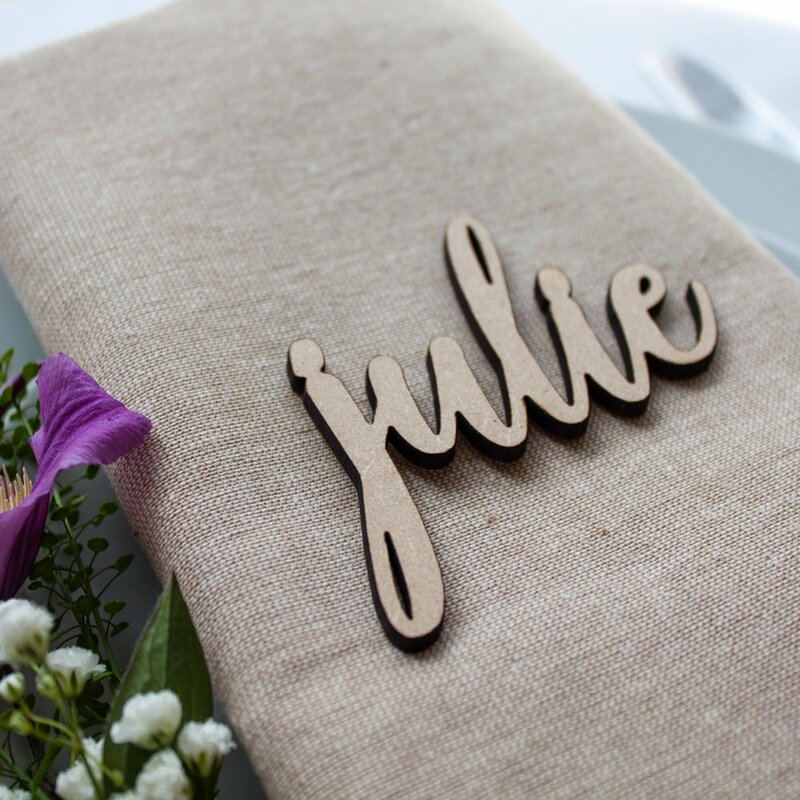 We are able to offer cutting services, and laser engrave timber products. We work with sustainable plywood due to it’s environmental credentials, however other materials are available upon request. Illustration is a service for my clients that require that extra touch using ink or pencil which can then be digitalised to appear within your projects. Watercolour painting is a service I offer to my clients which can be digitalised and used within your projects. 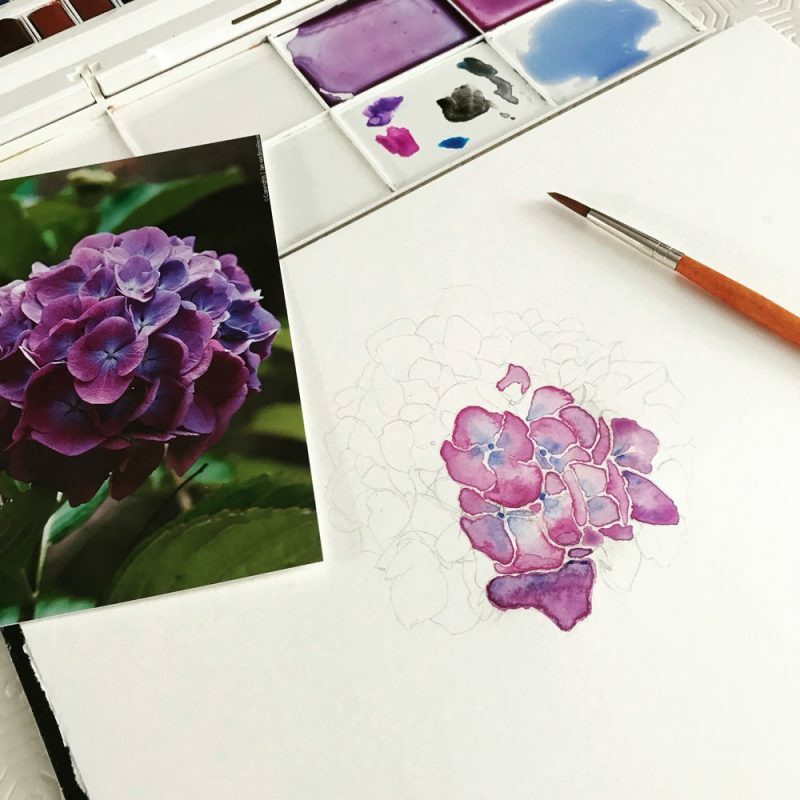 Watercolour florals and venue paintings are particulary popular within the wedding industry. The art of hand calligraphy is truly mesmerising and a dream to do. As much as I like the flexibility of graphic design, I also love to go back to the old fashioned, traditional skills that tend to be overlooked in this digital world. 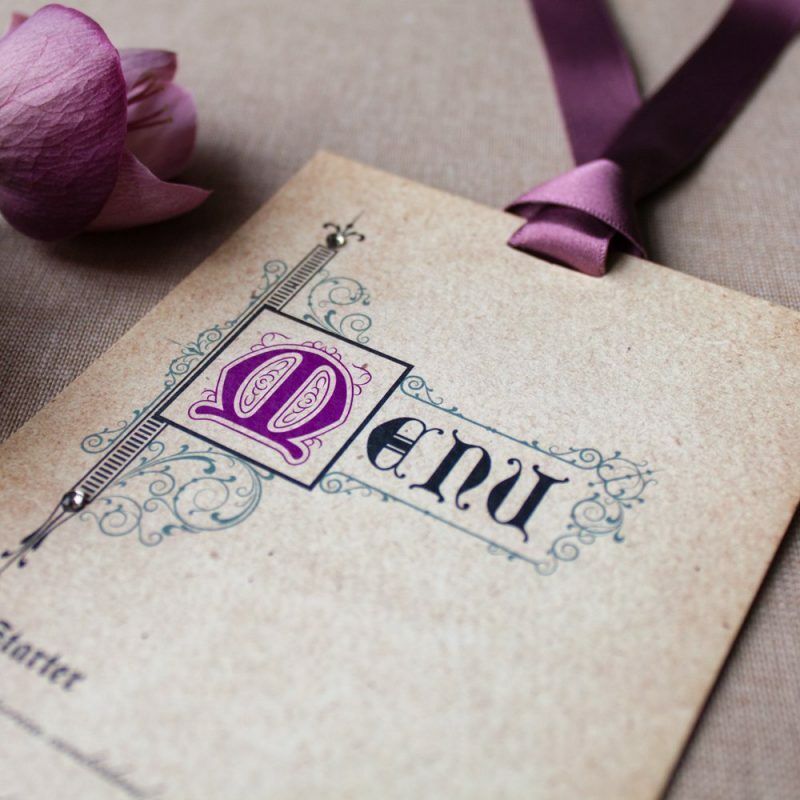 White ink can look amazing when used in collaboration with kraft or coloured card stocks. Love a bit of Neon? Florescent inks will definitely make a statement. 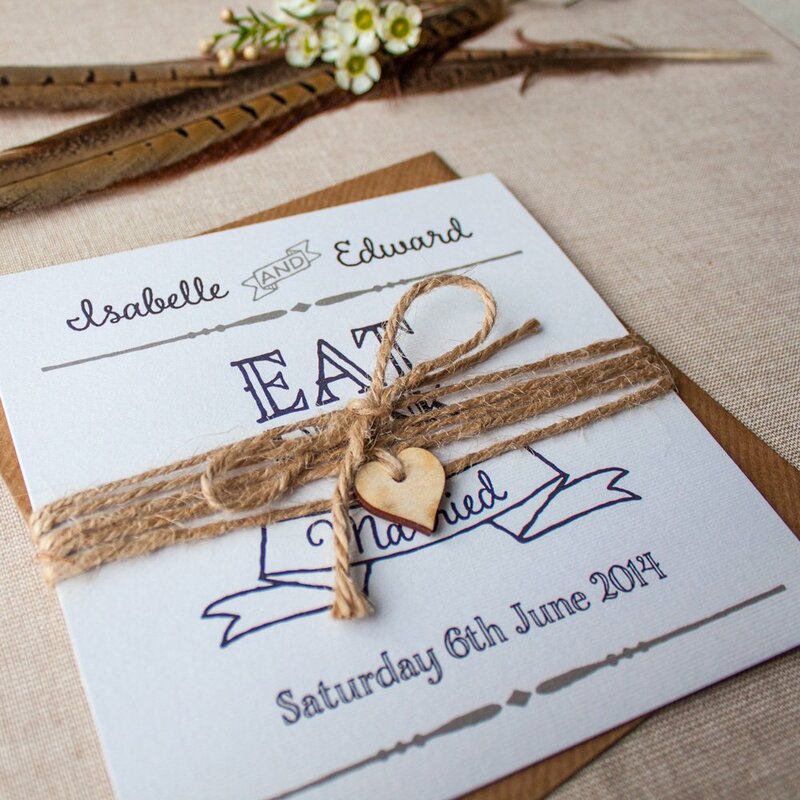 Letterpress is the oldest form of printing and forms an embossed or debossed effect. Blind debossing is subtle but can work beautifully when using the right design and card stock. Completed by hand with 100% care and attention. If ribbon, twine or embellishments are required we can assist. We have a wide range of British made ribbon, twine and embellishments on offer as well as hand dyed silks. 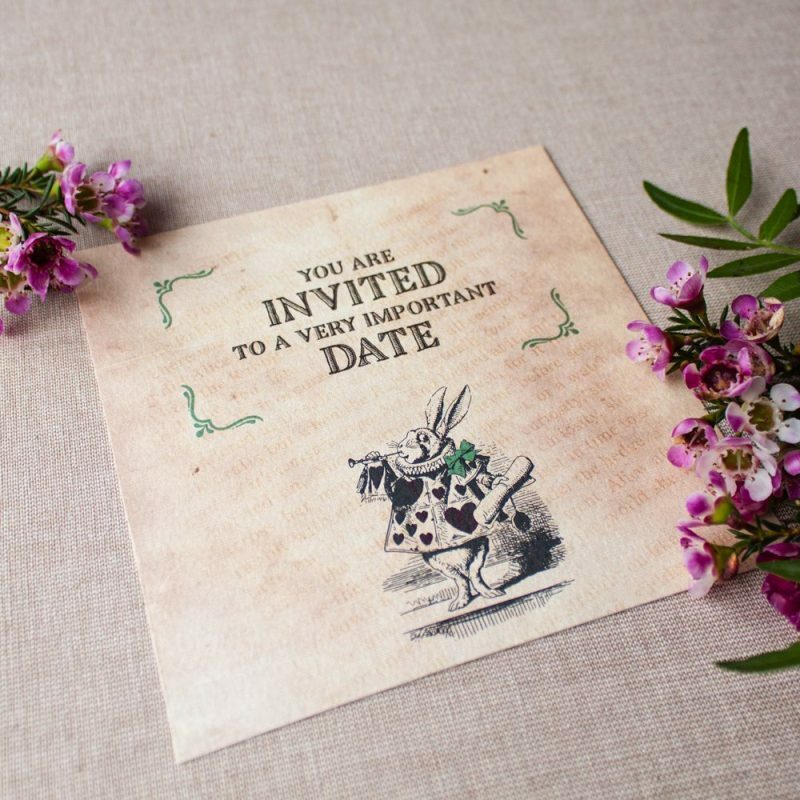 We offer die cutting so your stationery can be cut to many shapes and doesn’t have to be square. The bonding of two or more different coloured or textured boards. Can be extremely stunning when used with carefully selected materials. We offer large format printing including banners, selfie boards, vinyl decals for mirrors or welcome boards to name a few. 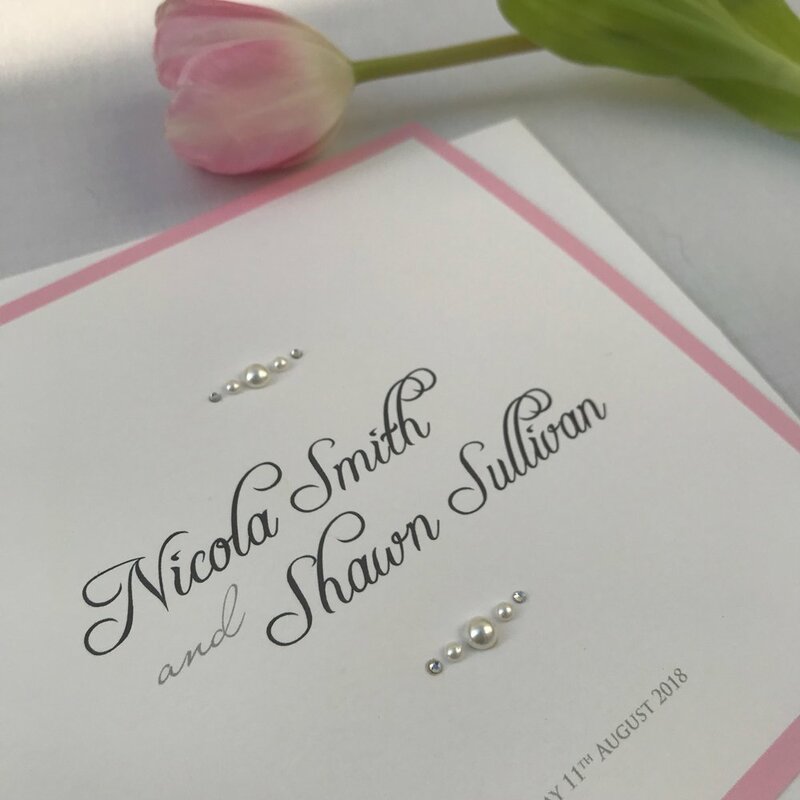 The use of Vellum within luxury stationery is huge at the moment. Used as a wrap or overlay, vellum can add that simple touch of elegance. We offer wax seals and wax seal stamps. Manufactured in the UK. 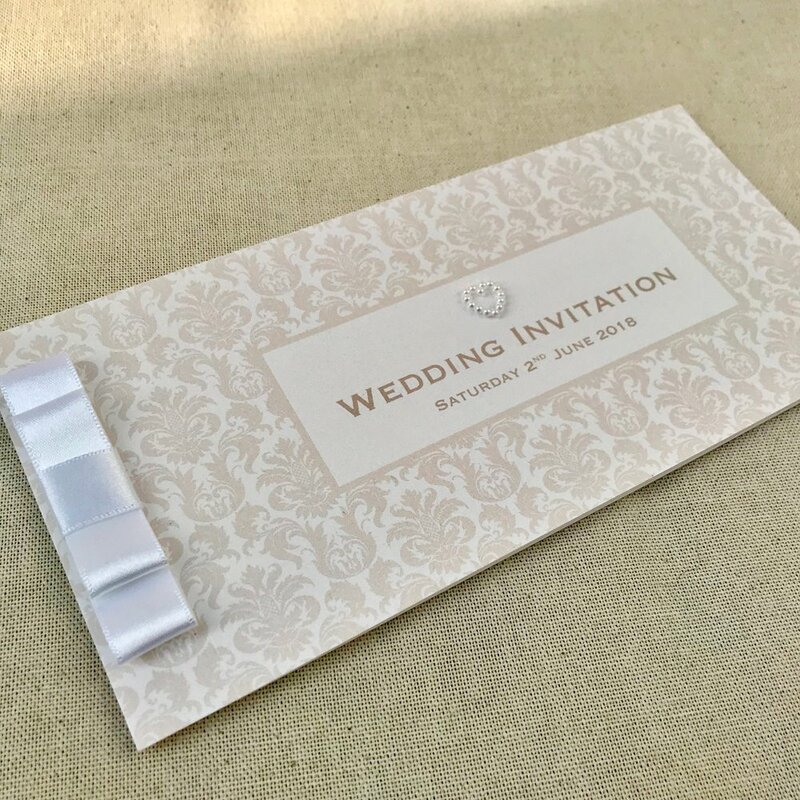 You can choose from a full DIY method where you melt and press your own wax seals using your newly made custom stamp or we can do the hard work for you and supply these as self adhesive wax seals ready for you to simply apply to your envelopes. The addition of a wax seal just oozes luxury. If you are interested in our Bespoke Design Service, please get in touch. I offer complimentary consultations within a 20 mile radius of Lymm or for Clients from further afield we can chat on Skype, telephone or via email. During your consultation we will discuss your ideas/brief, the print and production process’ you are interested in as well as viewing samples. After our initial consultation. I will provide you with a quotation based on your brief. This will normally be within 7 working days of the consultation depending on the brief. The first stage of the design process consists of me supplying you with a digital mood-board based on your ideas/brief discussed during our consultation. This will include examples of materials, print process’, similar designs and any other elements that come in to play. No actual design will commence at this stage, it is purely to ensure we are all on the same page. Your mood-board will be with you within 7 working days. Happy with your mood-board and the ideas on display, the next stage would be for me to start work on your actual design. I will send you an initial digital proof and from there will liase with you following on from amendments you may have until your artwork is approved. Lead-times vary depending on your brief but this will be detailed within your quotation. Artwork approved, the next step is production. Lead-time generally speaking would be 4 weeks, however this may increase based on your brief. Accurate lead-times will be included with your quotation. Your beautiful bespoke project arrives on your doorstep… Ready to be wowed? 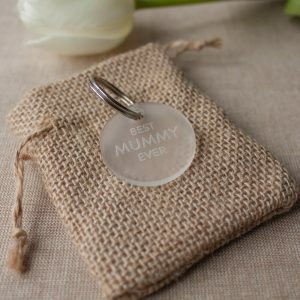 I just wanted to say a huge thank you for all your hard work on designing my beautiful business cards and gift vouchers. 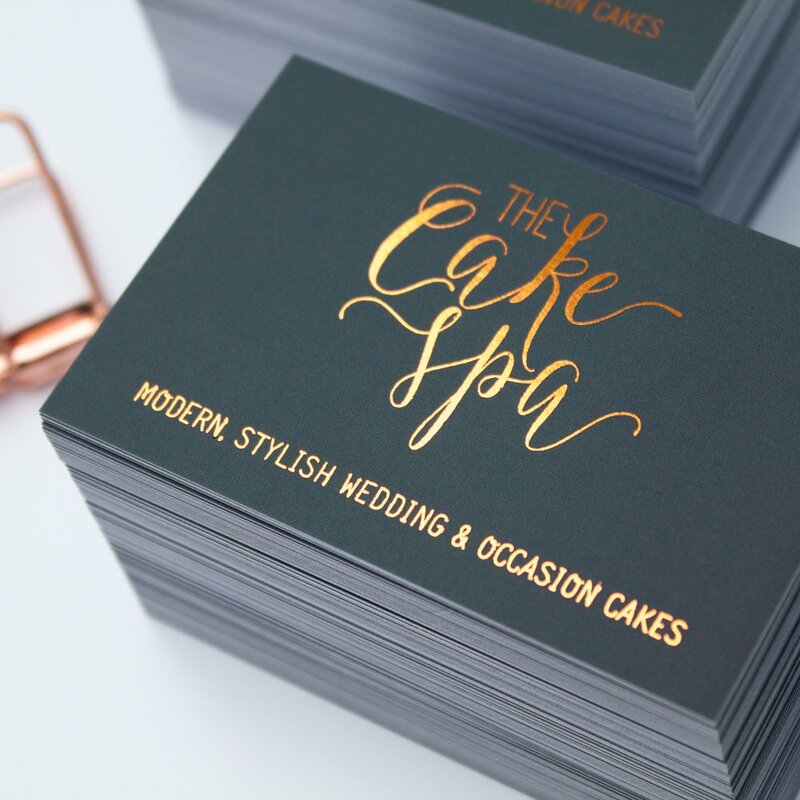 I am over the moon with business cards from Jellypress for my business ‘The Cake Spa’. 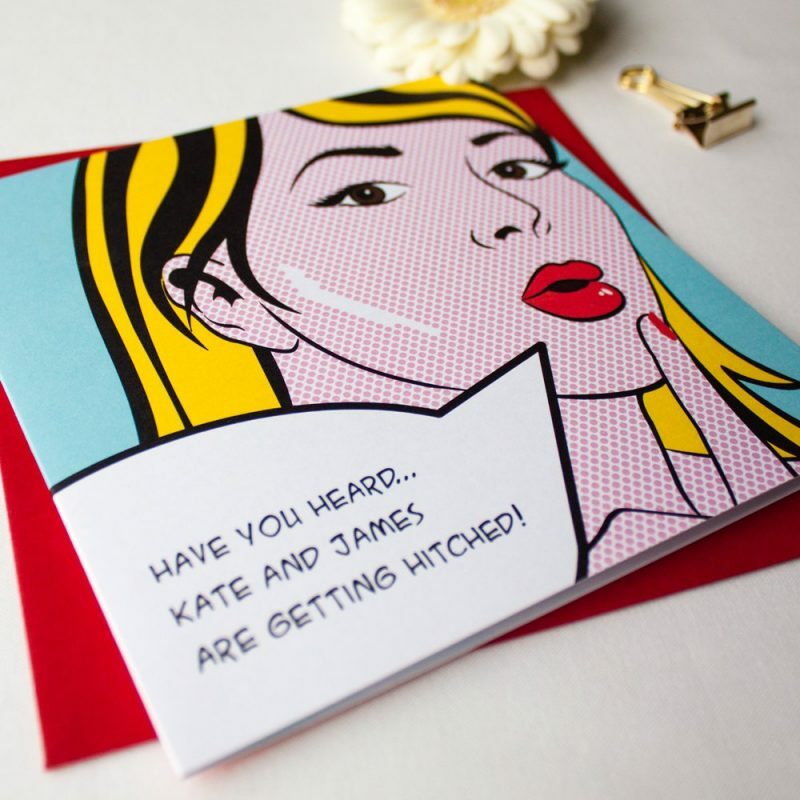 The quality and finish of the cards is excellent and I receive so many compliments about them! I will definitely be looking at obtaining further business related items from them as and when I have the need. I’m stickler for good service and Jellypress did not I disappoint! I would highly recommend. 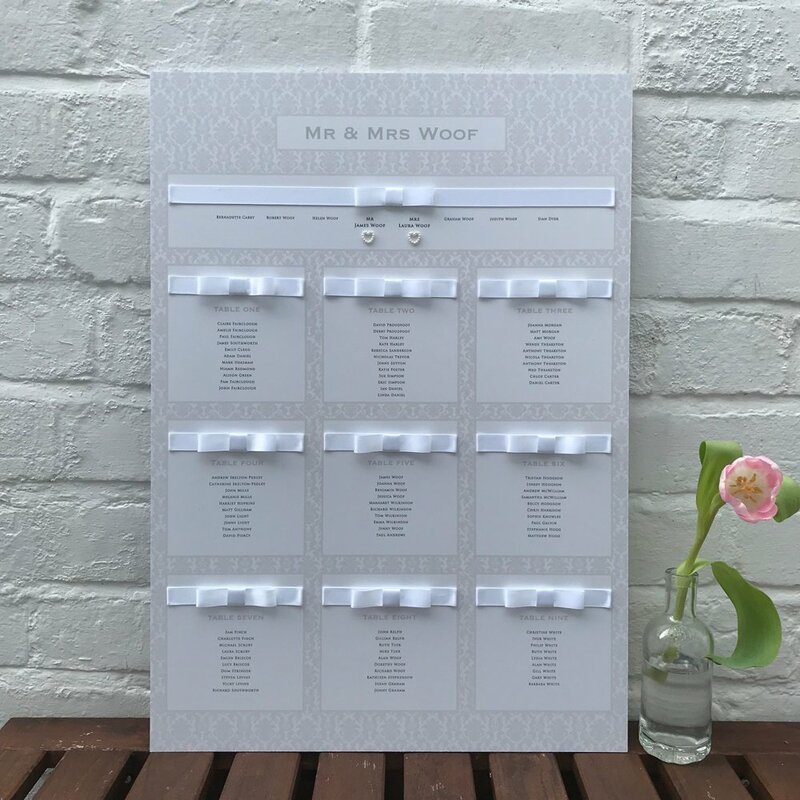 "They were the little details that made so much impact on all the guests and us"
I just wanted to say thank you for all our stationery they were the little details that made so much impact on all the guests and us! So thank you so much for that.